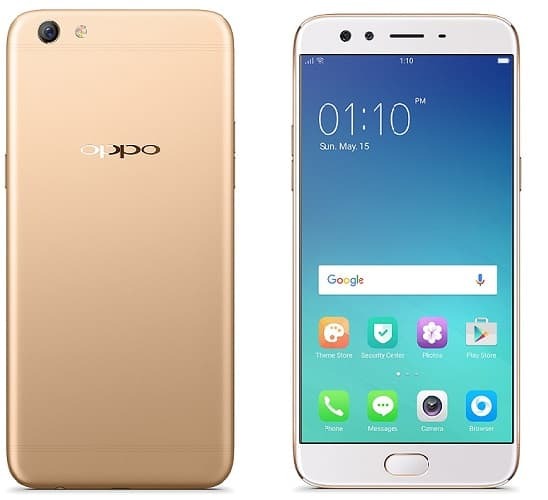 Oppo India has recently revealed the Oppo F3S Smartphone in a press meet on Thursday. The device comes with the much rumored dual selfie camera and also plays host to several other new features. Apart from having an excellently engineered optics, the device comes with a powerful 4000 mAh battery that supports VOOC Flash charging, delivering up to 2 hrs of talk time in just 5 minutes of charging. With Android Marshmallow OS and several other features, the phone is now available for pre-orders at a price of 30,990. After the Redmi 4A sale, the device got listed on the Amazon India page and since then is open for pre-orders. The phone comes with an M.R.P of Rs 31,990 but is now available at a flat 1000 rupees discount. Oppo mobile phones are known for their best in class camera specifications and this smartphone seems no different. As stated earlier, it comes with a front facing dual selfie camera of which one is for groupies while the other is dedicated for selfies. It has a rear 16 MP camera with an F1.7 aperture to capture detailed pictures even under low-light. It also has a 16 MP+8MP dual front camera combo with F2.0 aperture and 120-degree wide angle coverage. Other than that, the device seems pretty ordinary with the features it comes at a premium 30k price. The device is powered by a 1.9 GHz Snapdragon Octa Core MSM8976 processor and is well supported by 4 GB of RAM. The ROM has a capacity of 64 GB and is expandable up to 256 GB on microSD. The home button also plays the role of the fingerprint sensor and provides security features to the device. Not only that but it comes with a hydrophobic membrane which even senses fingers covered with dust and moisture. Other than that, the sensors include Distance sensor, Light sensor, G-sensor, eCompass and Gyro-sensor as well. Connectivity wise, the phone comes with a dual dedicated nano-SIM slot and both of them supports 4G functionality. Other connectivity options include but are not limited to Wi-Fi, Bluetooth, micro USB tethering, etc. The only disadvantage is that the device doesn't support FM or any radio services. measures about 164 x 7 x 81 mm and sports a 6 inch full HD screen with Corning Gorilla Glass 5 protection. Overall the device weighs around 185 gm and comes with a 1-year long warranty. Other in-box accessories available include micro USB charger, earphones, SIM ejection pin and some instruction manual. Hence, at a price of Rs 30,990, the phone only seems to satisfy from the optics viewpoint. Hardware is pretty decent with only the battery scoring quite up to the expectation. Those who are looking for a premium smartphone with over the top camera sensor features can definitely take a look at it. However, for budget users, it will be a better option to give it a miss and go for devices like Redmi Note 4 or other mid 10k device.